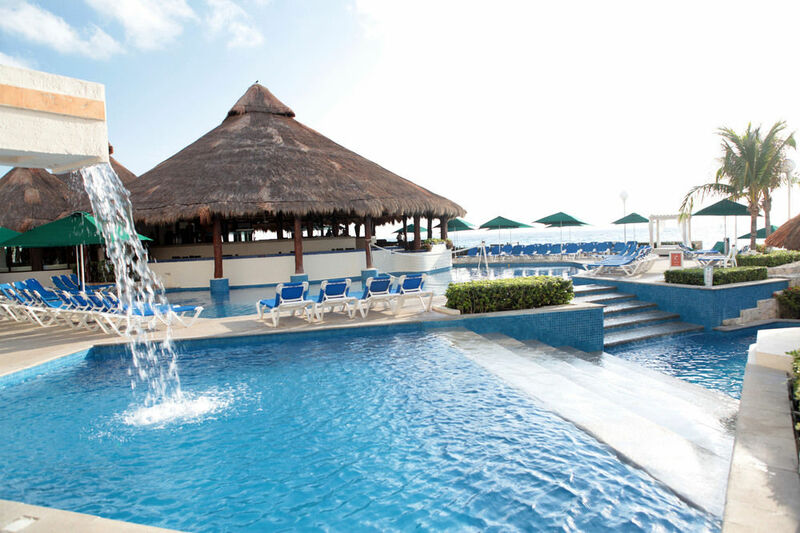 At Royal Solaris Cancun, you’ve come to the perfect place for your family vacations. 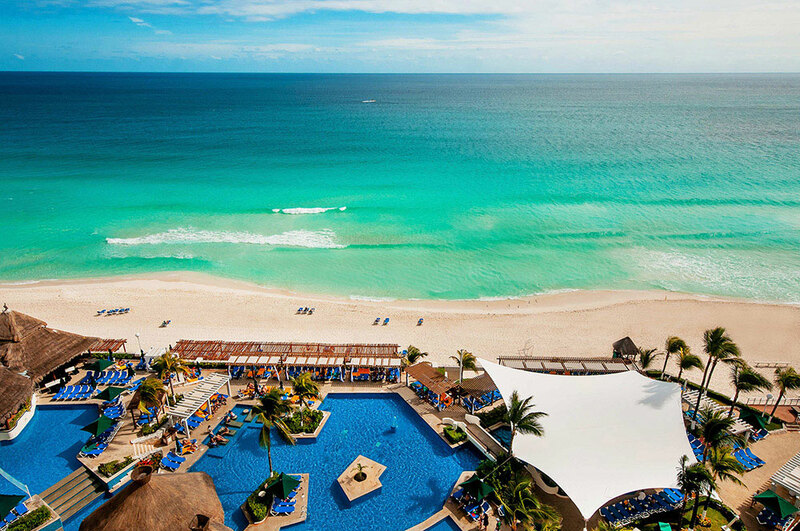 Designed to be the best all inclusive resort for families in Cancun, with a variety of international first class restaurants, world-class natural beauties like nowhere else in the world, as well as the famous Mexican hospitality, Royal Solaris Cancun is the perfect all inclusive resort for an incredible family experience. 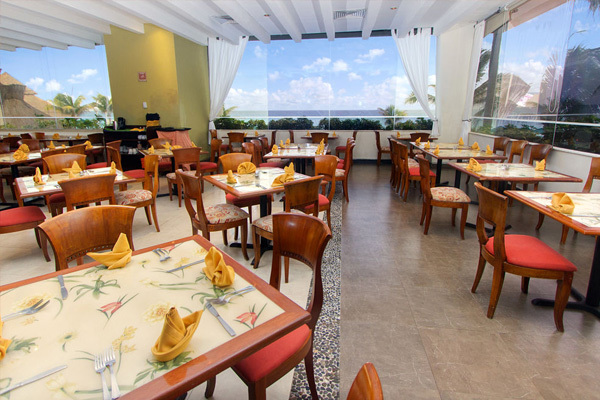 No more worries, your family will have one in a life-time moments they will never forget in our wonderful facilities. Relax, you’re in good hands. You are at a Solaris Resort. 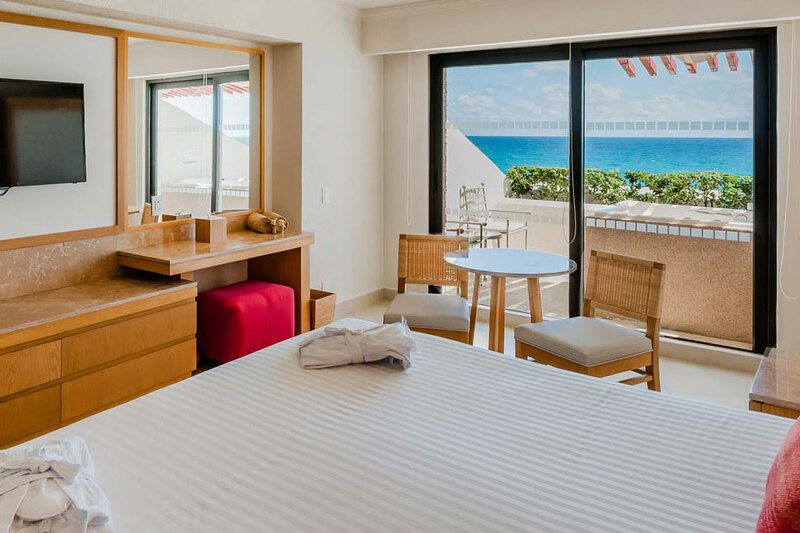 The comfortable rooms at Royal Solaris Cancun Resort has gorgeous views of the Caribbean sea or the Nichupte lagoon where you can enjoy stuning sunsets. 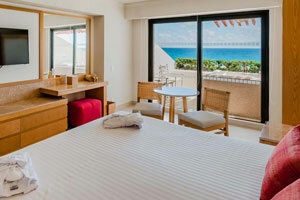 Royal Solaris Cancun has designed the perfect All Inclusive Luxury concept to suite your vacation needs. Allow us to be your host to this worry free way of travel. 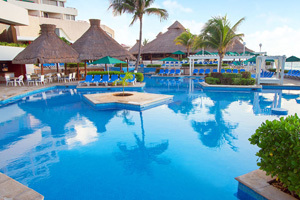 We want you to know that, while staying at our all-inclusive vacation resorts in Mexico, you do not have to worry about anything, we will take care of every detail so you can concentrate on what matters most: a well-deserved family vacation, after all, isn’t that the reason you decided to take this well-deserved holiday? 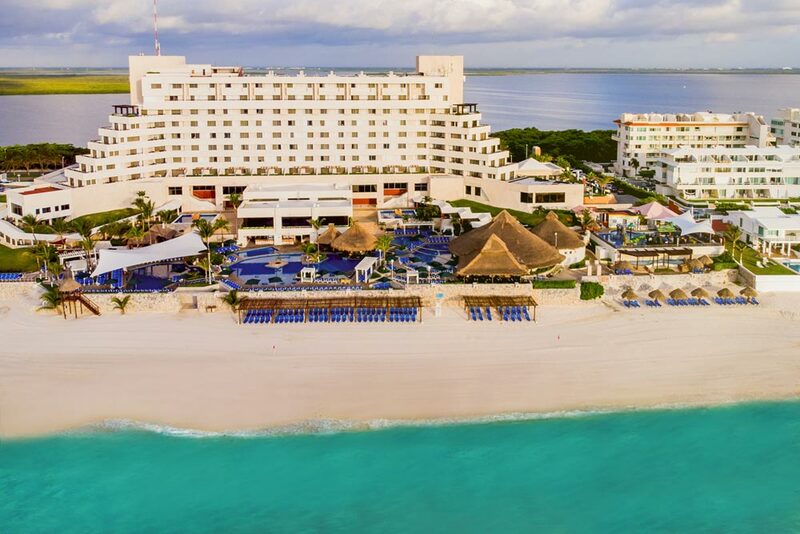 Allow us to pamper you providing the service you deserve, all the comfort and fun you can enjoy, everything right in one place: Royal Solaris Cancun. 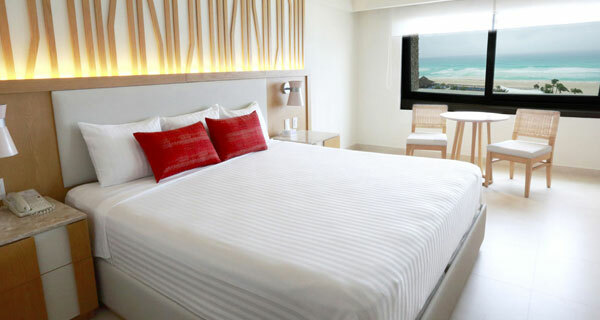 Internet access in rooms and at the business center and WI-FI access at lobby area. Happy, professional and funny people. Our entertainment team will pamper you all day long. Be part of the games and contest by the swimming pool area. Every day we have something different for you. Join us! 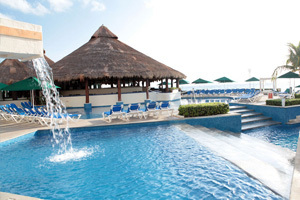 Night after night Royal Solaris Cancun will dazzle you with an incredible variety of live entertainment. 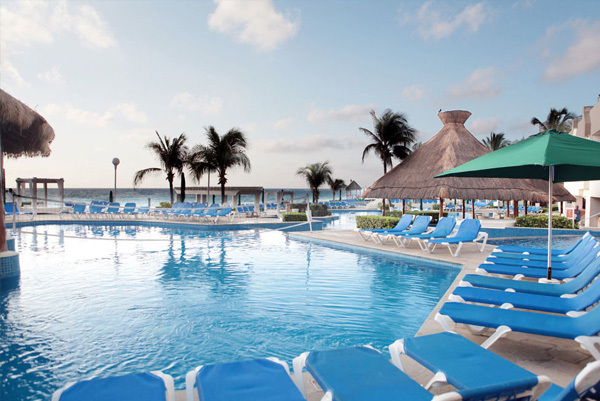 One more reason why the Royal Solaris is the best All Inclusive hotel in Mexico! Choose as many complimentary activities as you like. Each day of the week and yet the same...full of fun! 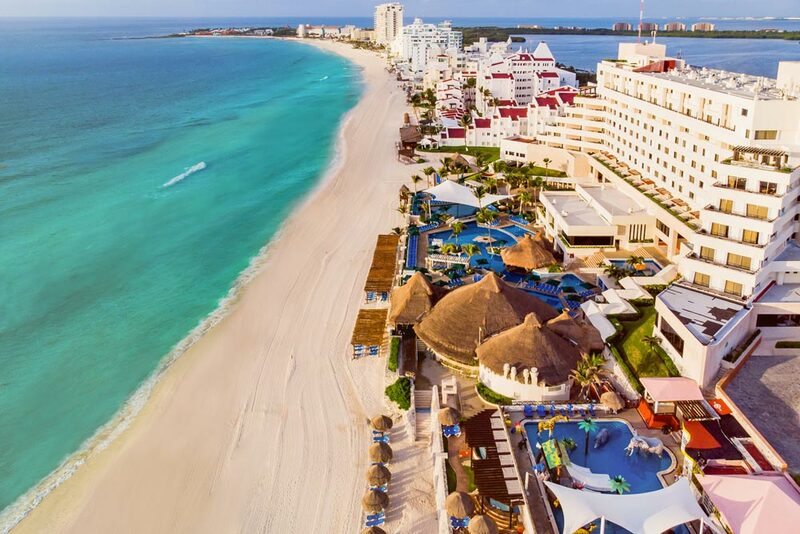 Our Sports and Entertainment team has prepared a full and busy schedule for you during your stay in Cancun. Our Mini Club is a private Mini water Park with different activities and a big undercover game center. The kids will enjoy different kind of activities: ecological, artistic, cultural and creative while you relax. All our activities are supervised completely. 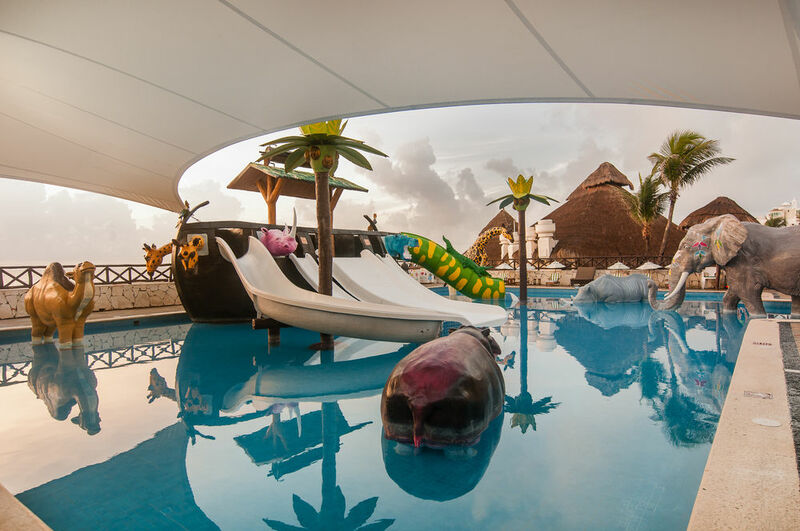 Children activities like drawing, pool games, mexican piñata decoration, pastry tour, face painting, are supervised by bilingual professional staff. Open from 9:00 a.m. to 9:00 p.m. except Wednesday from 9:00 a.m. to 6:00 p.m. for children from four to eleven years old. A new place where our youngest guests will enjoy this special area for the kids. 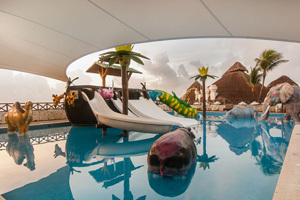 This new colorful playground area allows them to have fun while on vacations in Cancún. Opens daily from 9am to 5 pm. From 0 to 4 years old. Parents must be supervising their children at all times. The fun and entertainment is unlimited in our fantastic Mini Water Park! 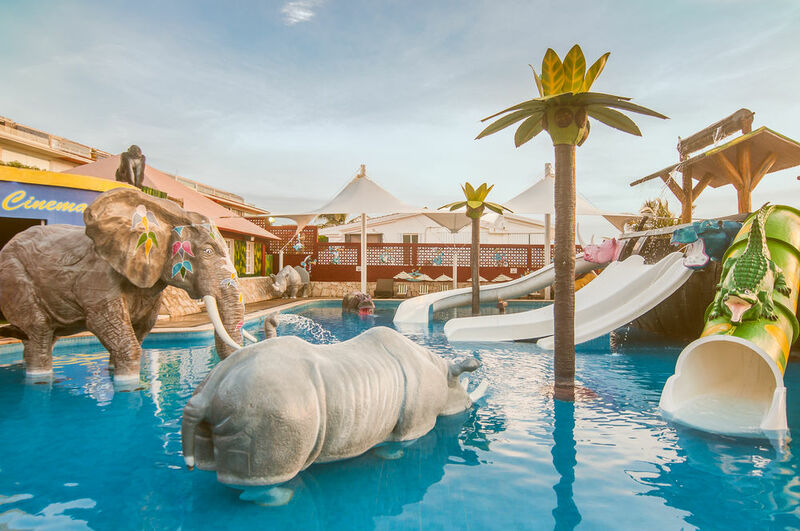 In our shallow pools and worry free area for kids; they can enjoy the fabulous water slides from the Noah’s Ark, their animals, the elephant’s fonts and the big water slide. The Royal Solaris Marina offers you kayaks, pedal boats, sunfish and windsurf as part of our All Inclusive Plan. Have fun with these sunny day activities. Enjoy your favorite non motorized sport in our Marina located on the lagoon side. Open from 9:30 a.m. to 4:00 pm. Motorized Sports are not included. To rent any motorized equipment ask Entertainment Staff. Live this beautiful moment with the quietness and intimacy of our place, or the wonderful experience of the Caribbean breeze in front of the sea. A warm and relaxed atmosphere, where you can also enjoy the steam, jacuzzi and showers. All charges for spa treatments, salon services and massages are not included and paid directly at the Beauty Salon. 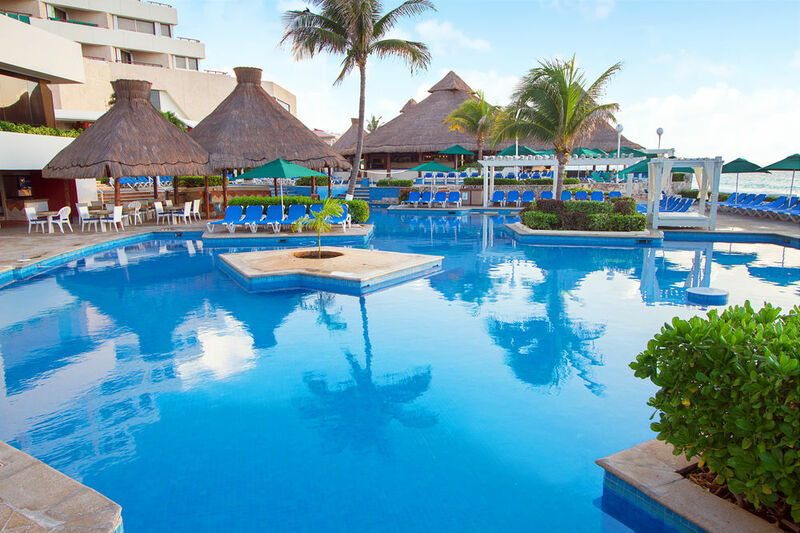 The hotel will charge an additional fee of $25.35 MXN (Mexican pesos) per room, per night. This is a municipal tax due to environment sanitation.